One of the highlights of my trip to Redondo Beach a few years back was attending a Kala Koa Entertainment production The Hawaiian Guitar Festival. My Minnesota and Washington DC background didn’t have much slack key or Hawaiian guitar music in it. If you make it to Southern California it’s well worth it to check and see what Mitch Change is presenting during your visit. 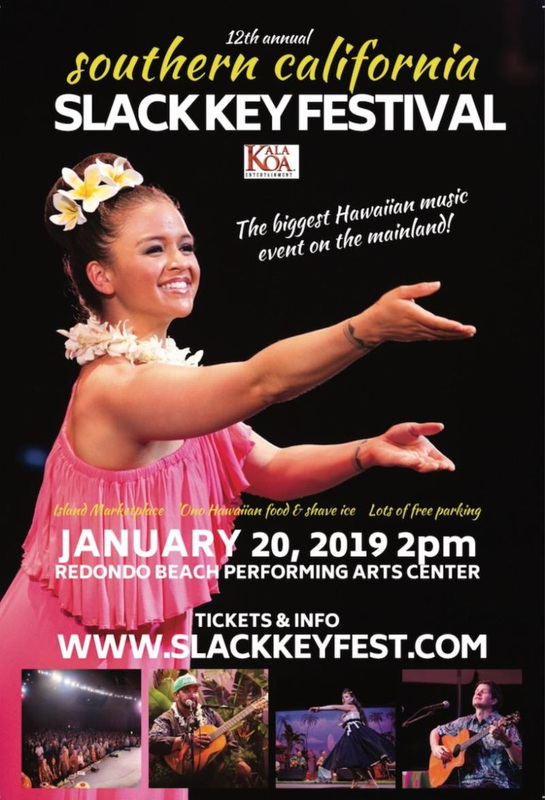 Kick off the New Year with the 12th annual Southern California Slack Key Festival featuring award winning musicians George Kuo, Jeff Peterson, Jim “Kimo” West, Kawika Kahiapo, Sonny Lim, Kunia Galdeira, Ikaika Marzo, Teresa Bright and Bobby Ingano – get your tickets now for the biggest Hawaiian music event of the year! 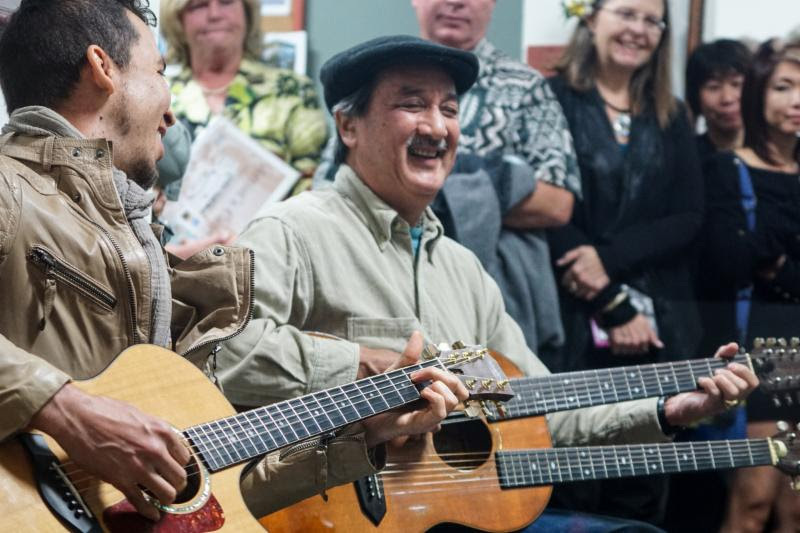 If you’ve been to the islands or simply have a love for Hawaiian music, you already recognize slack key – “ki ho’alu” – as the quintessential sound of Hawaii. It’s a very interesting story, how this guitar style came to be: it’s a story set as far back as the late 1700’s involving a king, his cattle, Mexican cowboys (vaqueros), campfire crooning and open tuned (“slacked”) guitars. In ki ho`alu (“loosen the key” in the Hawaiian-language), the strings (or “keys”) are “slacked” to produce beautiful open chord tunings, each one producing a characteristic resonance with the fingers playing the melody while the thumb plucks a simultaneous alternating bass pattern. Visit the festival website and discover/rediscover this beautiful music and meet this year’s artists. Best seats in the house for the performance – PLUS an exclusive reception that includes Meet the Artists, ‘ono Hawaiian food, prizes and more!